“[No heading].” Hamilton Spectator (Vic. 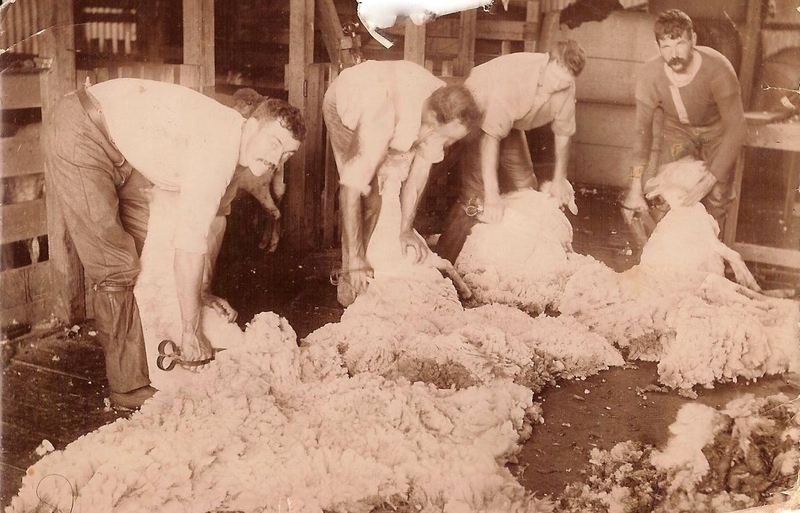 : 1914 – 1918) 6 Jan 1914: <http://nla.gov.au/nla.news-page13375984&gt;. When the Hamilton Spectator (1914-1918) made it to Trove, I was pretty excited and my post Its Official was evidence of that. What a benefit those five years of papers have been to my research. But I’ve always thought it was unfortunate more issues of the Spec were not available at Trove. Portland, through the Portland Guardian & Normanby General Advertiser, the Portland Guardian and the Portland Observer & Normanby Advertiser, is represented from 1842 through to 1953. Horsham has the Horsham Times from 1882 to 1954. The Spec would compliment those publications as the newspapers from the three towns were all important voices for the west of the state. 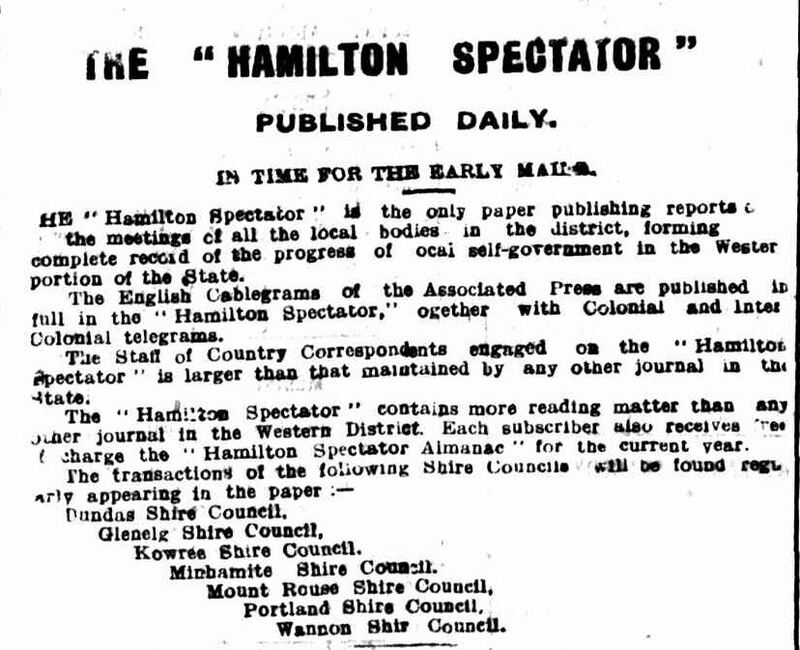 The National Library of Australia with Inside History Magazine are conducting a poll to choose one of six newspapers for digitisation and the Hamilton Spectator from 1860 to 1913 is one of those. In fact it is the only Victorian newspaper. We can make the digitisation of the Hamilton Spectator a reality and the first step is to vote. If you go to the following link – Vote Now – you can cast your vote. But hurry…voting closes on November 30. Crowdfunding will raise the money to digitise the winning paper. With the I’ve Lived in Hamilton, Victoria Facebook group of 3500 members getting behind the campaign, hopefully it will be the Spec. If you need any more incentive to vote, the following from the Hamilton Spectator of November 21, 1914 suggests a few good reasons. “[No heading].” Hamilton Spectator (Vic. : 1914 – 1918) 21 Nov 1914: http://nla.gov.au/nla.news-page13385110&gt;. This entry was posted in Miscellaneous and tagged Hamilton Spectator. Bookmark the permalink. I just voted and 76% of the vote at this stage is for the Hamilton Spec!